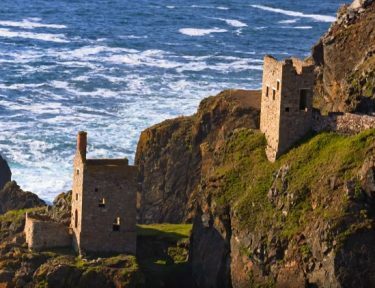 Cornwall has captivating history, the copper & tin industry, smuggling and pirates but it is also a living breathing and evolving place that looks to the future as well as its past. Do you love wandering around historic houses and soaking the atmosphere? Or perhaps your passion is to be outdoors exploring beautiful gardens? Maybe you're seeking adventure and discovery of things that are happening now and in the future? Cornwall positively spoils you with the choice of days out and so many are right on your doorstep. We have our own favourites and we share these with you below. This National Trust property is a wonderful example of true high Victorian decor in a home that was both impressive but also lived in. Visitors get to experience both sides of the 'green baize' door and learn what being in service was like as well as being served. The gardens are wonderful throughout the year. The name is not just a dramatic statement but a fact ... these were truly 'lost'. The original home and grounds were built and landscaped in the 1700's but as a result of the death of the family the building and its grounds were left for centuries allowing nature to take over. Then around 30 years ago an explorer discovered the Gardens of the estate, like a magical garden of childhood fairy tales. 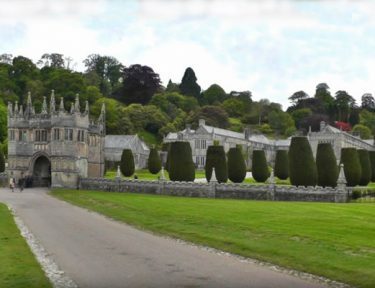 Soak up the atmosphere of the 17th century at this wonderful National Trust property. As far removed from the grandeur of Lanhydrock as you can imagine. Tell your children stories about the Knights of the Round Table and let their imagination do the work! There's more than the historic house, there's the remains of the Godolphin mine, a tranquil woodland and a wonderful cafe and restuarant. Take in the views of St Ives Bay and St Michael's Mount. Not every garden has to have it's roots planted in the past! After all every 'Heligen', Lanhydrock and even Kew were at one time 'new' ... and at Tremenheere you will find exactly that, a glorious newly designed and formed sculpture garden that is looking to the future. Tremenheere is very near by, just beyond Penzance, so a perfect location to choose if you are planning your days out in that direction. The gardens are designed around the climate of the area, so expect tropical flourishes to amaze you. The gardens are also home to wonderful artwork by the likes of James Turrell, David Nash, Kishio Suga and Bill Wynter. 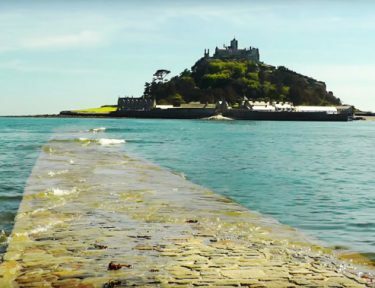 Castle, gardens, village or harbour, whatever you plan to see when you visit St Michael's Mount, you will have a full day of exploring. This is truly a place of ancient history, from as far back as 495AD, tales tell of seafarers lured by mermaids onto the rocks, or guided to safety by an apparition of St Michael! Then there are the many battles to control this most important of geographical sites. Walk across the causeway and explore this magical location ... but don't leave departing too late or you may find yourself wading! 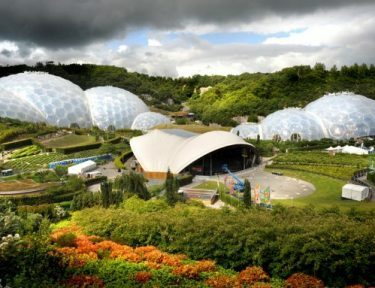 If St Michael's Mount is the perfect day to experience Cornwall's glorious past, The Eden Project heralds the future. 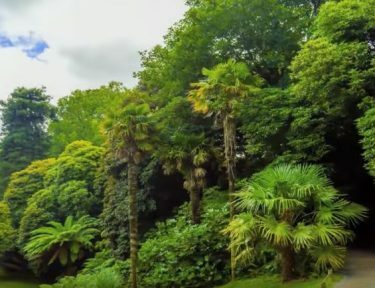 Built on the site of a disused china clay pit, this is the vision of Tim Smit, who was also behind the regeneration of The Lost Gardens of Heligen, had a vision to help reconnect mankind with its living world around him. Huge Biom's house the worlds largest indoor rainforest ... but it's not just about plant's and flowers. A fantastic experience for everyone including Bulb Mania in the Spring, the Jungle Season throughout the summer into October as well as indoor ice skating in the winter. A perfect family holiday experience. If you have watched and loved Polldark, you'll recognise some of the famous sites of 'Mining' works that is part of West Cornwall's heritage. Geevor Tin Mine: The UK’s largest preserved mining site, now a museum with guided underground tours, a shop & a café. Pendeen, TR19 7EW – 01736 788662 www.geevor.com Levant Mine & Beam Engine: Experience what it was like to work here and walk down into the tin mine shafts. See the great restored 'steam winding engine' in action and discover why this mine was known as the 'Queen of Mines'! St Ives has long been a destination for artists ... the light was true ... and in their footsteps came the artist lovers. Today there are many attractions to explore. Tate Gallery & Barbara Hepworth Museum: Tate St Ives presents modern & contemporary art often created in or associated with Cornwall. Its location provides a unique opportunity to view work in the surroundings in which, in many cases, it was actually created. 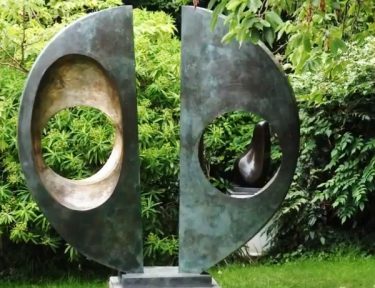 The Barbara Hepworth Museum and Gardens display exhibitions and works of this this artists wonderful, 'physical' & 'tactile' sculptures. Visiting Barbara Hepworth Museum & Sculpture Garden is a unique experience, offering remarkable insight into the work of one of Britain’s most important 20th century artists. 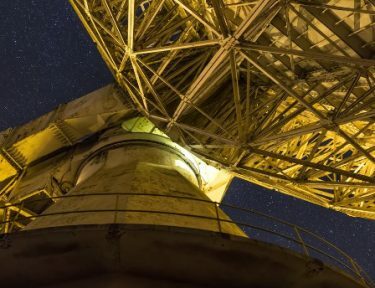 The Telegraph Museum: No need to travel far for a slice of history and a look at the very modern world ... did you know that Porthcurno has been at the hub of global communication since the late 19th Century? St Ives Museum: Housed in a former Pilchard Factory, this is a traditional museum in Wheal dream, St Ives reflecting the life & times of the town. The Newlyn Art Gallery Exhibiting contemporary art of local artists, this gallery is well worth a visit. Now working in association with Penzance to bring larger collections to the area. Established in Hayle in 1973 as a tropical bird garden you can now also see Otters, Red Pandas, Native Red Squirrels & the rare Cornish Chough. An addition in 2005 was the Jungle Barn Indoor play centre where there is plenty of active fun for children even in wet weather. Paradise Park have seasonal events throughout the year from Easter Egg trails to @Owl Prowl' in the autumn ... so do check out the website for what's coming up.